For Saudi national Shahed Turkistani, attending Comic Con events is not out of the ordinary as she spent most of her life in Japan mixing with anime and cosplay enthusiasts. 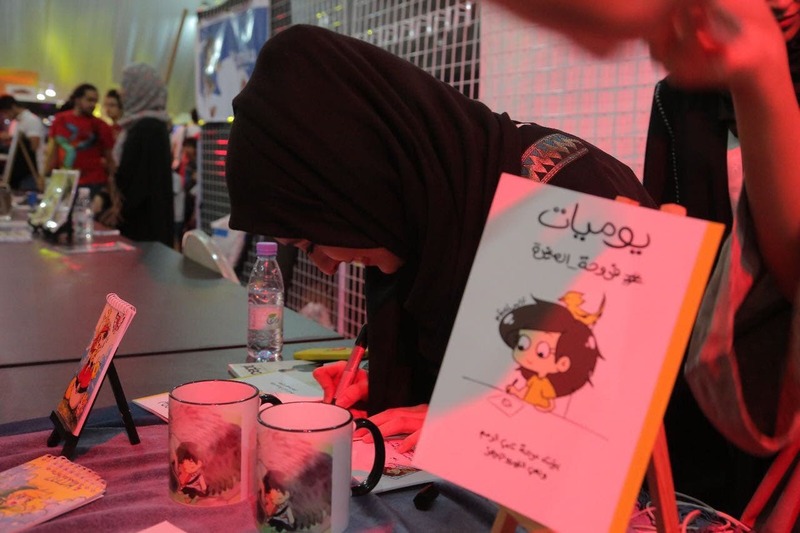 But the recent Comic Con event in Saudi Arabia’s Jeddah – the kingdom’s first – was different. “This event was very different of course as it is the first time to ever be held in Saudi Arabia. 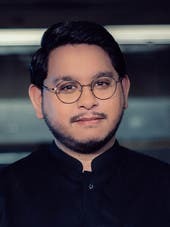 But even more so, it was a chance for me to share the Japanese culture, which I was raised in, with my own countrymen,” Turkistani told Al Arabiya English hours after the event wrapped up. 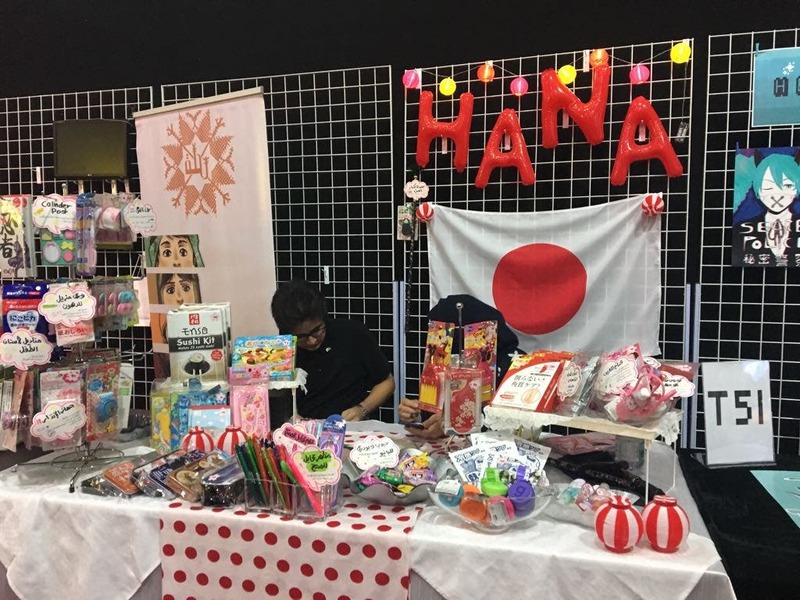 Turkistani said that while she is not really interested in Japanese animation as much as others are, she immediately took the chance to take part in the three-day event where she was given a table to sell anything and everything that had a connection with her childhood in Tokyo. “It was something I’ve been wanting to do for a very long time. While it was easy for me as I’ve experienced it in Japan before, it was a dream come true for many Saudi artists and enthusiasts who’ve wanted to show their own art and see their favorite anime and manga characters up close for the first time without having to leave the kingdom,” she said. 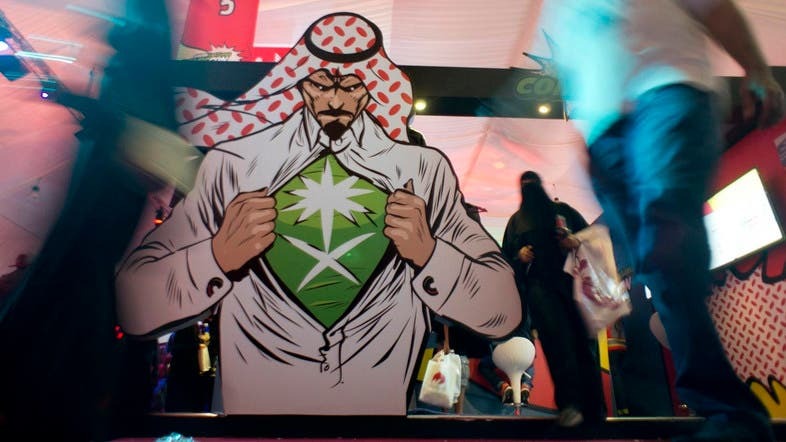 It is not every day that young Saudis can wander down their streets dressed as Captain America or the Hulk but over the past three days, some 20,000 Saudis crowded the convention center in Jeddah dressed in cosplay and queued to get into Saudi Arabia’s first-ever Comic Con. The three-day festival was part of the Saudi government’s initiative to bring more entertainment to the conservative kingdom, which currently bans public cinemas and theater. Saudi Arabia is trying to boost its entertainment sector as part of an economic and social reform drive under its Vision 2030 plan aimed at creating jobs and weaning the country off its dependence on oil. It took its first step when US dance group iLuminate was invited to perform in Jeddah last October and local legendary musicians like Mohammed Abdou were allowed to perform in open concerts for the first time in decades. Times are changing in Saudi Arabia and its youth are taking note. Im so happy for this day! “It was exciting because it's the first time Saudi Arabia making a Comic Con event. And It is different from any other events cause of course as the ecent in Jeddah targeted all people but mainly the youth,” Hazem Alharbi said. “I believe we are heading in the right step. 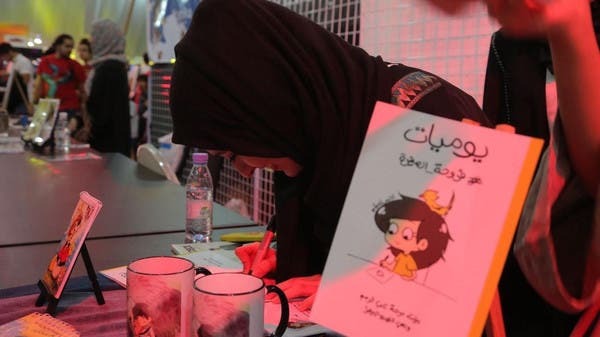 Saudi youth are in need for events such as Comic Con and you can tell we are as excited for changes by how just how many tickets were sold out and the huge crowds that went to the event,” the twenty-year-old medical student from Umm al-Qurra University told Al Arabiya English. For Samer al-Selmi, who attended the Comic Con dressed in cosplay, he said he understood why some in Saudi society would view the introductions of entertainments negatively as these have not taken place in a long time. “But honestly, the positives outweigh the negatives. We saw so much excitement from not only the youth by also other age groups as the event brought together gamers, artists, and action-film fans from across the kingdom,” Selmi said. “I hope it doesn’t end here and that we saw more events like these introduced in Saudi Arabia,” he added. Fifth year medical student Abdullah Gadeer said gender and age were not a matter of discussion at the event, as more and more Saudis open up to events like comic con being the norm rather than the exception. “Here in Saudi Arabia we have an issue. People at first don’t like to try new things, because they think it’s culturally unaccepted. But once they try new event like Saudi Comi Con, they realize they would like to have more and more of these entertainment venues to be organized in the kingdom,” he told Al Arabiya English. 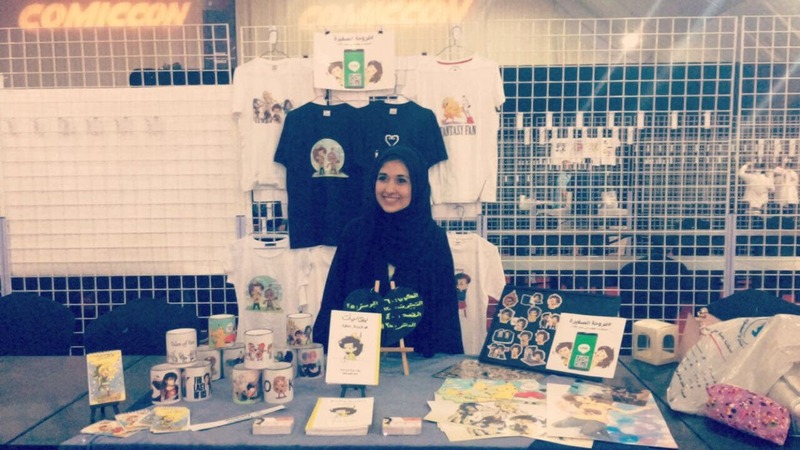 Saudi freelance artist Farah Arif was attending her second Comic Con event as a participant, her first experience coming in Dubai which has hosted the conventions since 2012. “It was very surprising to experience this in Saudi Arabia, some of us were even asking are we even in Jeddah?” she told Al Arabiya English. But the event held some form of pride for her and other artists, who she said went unknown both inside and outside the kingdom until the convention came to their backyard. “The great thing about this convention that there were animation companies inside of our own country who were invited and were surprised to see so many of us talented freelancers. These companies usually pay way more to outsource talent in neighboring countries when in fact we’ve been here all along,” Arif said. But the biggest takeaway from the event, says Turkistani, was that it helped change the way foreigners viewed Saudi society, especially their youth. “I met an American family here who have lived here in Jeddah for nearly two years without interacting with Saudi youth. They told me this event was an important milestone in not only changing their perception of us but also those abroad looking in,” she said.